Switching careers can be an incredibly daunting prospect. Especially if you’ve spent 5, 10, 20 years building your career in an industry that has completely lost its luster for you. After all, is it really worth trading an unfulfilling but familiar career for a brand new job that is completely foreign to you? Maybe…or maybe not. Usually, if you’re facing the decision to start over in a new career it’s because you can see that there is not a future for you on your current path, or least not one you are interested in pursuing. And our former Director of Content Randle Browning decided to leave academia to work in the faster-paced world of digital marketing first at Skillcrush and, most recently, as a full-time freelancer (why digital marketing? She wrote about it for us first-hand). But there are a ton of tech jobs out there that can build on the skills you’ve developed in a past (or current) career. 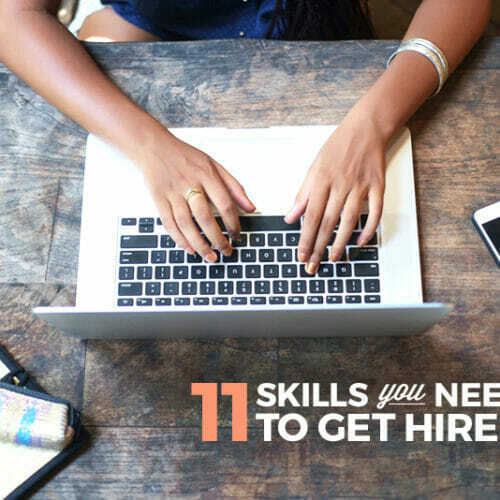 That means you don’t have to start at the bottom, and you only need to add a few more skills to your repertoire to make a smooth transition into a job you love. 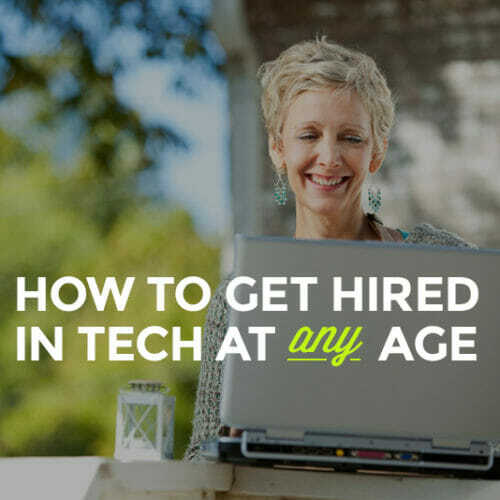 It doesn’t matter if you’ve been a nurse, an administrative assistant, an engineer, or a bank teller—you have skills that are super valuable in a tech career. 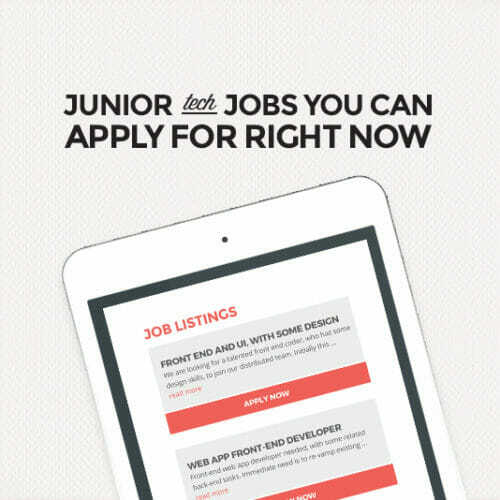 In fact, plenty of careers outside of tech can be the perfect launchpad for a career in tech. 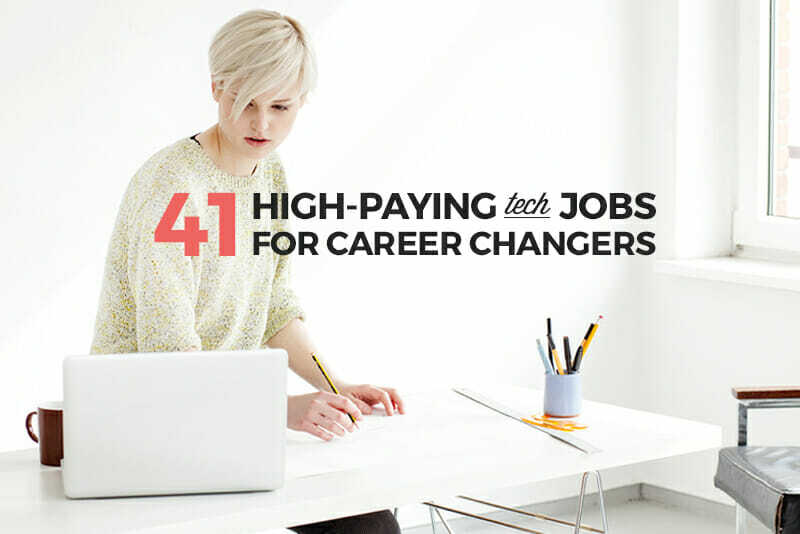 Here are 10 avenues for getting into tech based on common careers. If you have a background in finance, then becoming a data analyst is perfect for you. It’s all about taking data and turning it into insights that business can act on. It’s great for anyone who’s used to working with numbers, and analyzing and interpreting trends. It doesn’t matter what part of finance you’re coming from. Whether you’ve been an investment advisor or a loan officer, your background and experience will give you an edge over others applying for the same jobs. Just be sure to emphasize your analytical and data-wrangling skills! Learn more about working in data analysis here. If there’s one thing you learn working in retail, it’s how to handle customers. Often angry, confused, or frustrated ones. And you’ve probably learned to love that rush you get when you turn a difficult experience into a great one. What all these people-pleasing skills boil down to is this: you’re a perfect candidate for a customer support job (also called “tech support” by some companies). You’ll spend your days helping out customers who are running into issues or have questions about your product and finding great solutions for them. You’ll need technical skills relevant to the product you’re representing, but otherwise people skills are way more vital to emphasize on your resume! Find out more about working in customer support here. The main expertise project managers need is management skills, both in terms of managing people and managing the overall project workflow. That’s why sales managers are excellent candidates for becoming project managers. You’ll need to coordinate resources, both internal and external, develop detailed plans and manage their progress, measure project performance, and manage any changes to the project’s scope as it moves forward, among other management tasks. Emphasize your experience with these things in your resume. Learn more about jobs in project management here. If you’ve worked in media or other editorial role, you’ve probably spent your career creating compelling written content. You can easily convert those talents into content marketing skills. In all likelihood, you’ve spent at least some of your career in recent years working with social media and online promotion as more and more news outlets and marketing companies branch out into digital content. That gives you a big advantage over others who don’t have experience writing professionally. Read our break-down of digital marketing, then take a look at the 7 best job titles for entry-level digital marketers. Or check out a day in the life of a content marketing manager here. Good design is good design. It doesn’t matter if that design comes to life in the form of skyscrapers (or custom homes) or websites and web apps. The principles are very similar. If you have a background in architecture, you’ll just need to learn the specific tech skills relevant to website design, and how to apply your existing design theory knowledge to a different medium. Here’s a breakdown of the differences between graphic design, web design, and visual design. Then check out this interview with Brian Hoff to see what being a web designer is really like. Engineers are all about solving problems. Often within a strict set of rules that need to be adhered to. And guess what? So are web developers! Programming websites and apps is one giant exercise in problem-solving, from coming up with the best solution for your users to finding the best way to create that solution to troubleshooting bugs along the way. The skills you developed as an engineer will certainly serve you as a developer. Be sure to talk about problems you found solutions to in your resume. 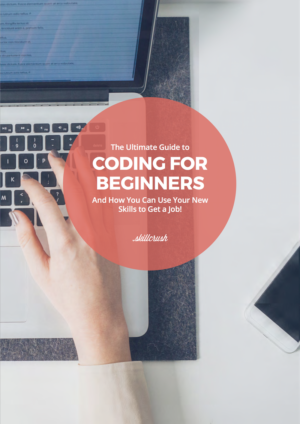 Download The Beginner’s Guide to Landing a Junior Developer Job for more info about exactly what you need to know to move into a career as a web developer. Product managers have to think strategically in order to anticipate patterns and potential opportunities in the future and act on them in a way that gives the best advantage. They also need to be super organized and able to wrangle information, both about the product and about their competition. Small business owners usually have all of those skills! If you’ve owned your own business (even something like a home party business! ), then you likely have tons of experience thinking strategically, gathering information about your market and competition, and keeping yourself organized. Those are super vital skills for product managers, who are in charge of the vision and strategy for a company’s products and services. 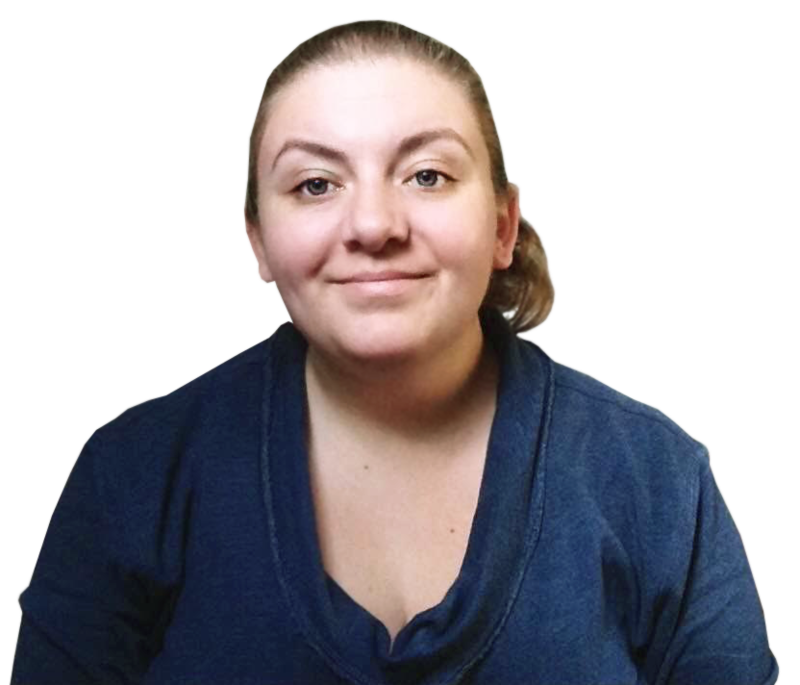 Find out more about what a project manager does here. Teachers are in charge of creating instructional content constantly. The best teachers have to create content that’s not only informative, but also compelling and engaging if they want their students to actually learn things. That’s pretty much what a content marketer does! You spend your days creating information products that are compelling and engaging enough to convince consumers to make a purchase. Emphasize those aspects of your experience when you’re applying for jobs! Here’s what a day in the life of an instructional designer looks like. Web development team leaders (sometimes also called senior web developers) manage teams of developers generally working on more complex apps and websites. They need to have development skills, sure, but more importantly, they need to have excellent problem-solving and people skills. That’s why anyone with experience as a nurse has a leg up over the competition after these jobs. Nurses spend their days managing people (often dealing with very difficult patients, plus keeping their colleagues happy and working as a team). They also spend their days solving problems, particularly interpersonal problems. Much like a team leader does! Check out more about what they do in this StackOverflow conversation. Social media coordinators and/or digital marketing assistants have to be excellent communicators. They also have to stay super organized in order to best manage all of the content they have to create, publish, and promote. Administrative assistants are often in charge of creating communications for their bosses, as well as keeping everything organized, scheduled, and running smoothly. This makes them excellent candidates for digital marketing roles, especially if they’ve had a hand in helping out with sales or PR copy in the past.